The Vocab Tunes program is a unique, accelerated English and reading comprehension method for preschool through middle-school aged children. Instead of memorizing list after list of vocabulary words, our program is targeted to pinpoint the very essence of the English language by making vocabulary easy to understand and remember. By using twenty prefixes, seventeen root words, and ten suffixes, Vocab Tunes is able to impart to students a deep understanding of words at their core, based on the meaning of the word parts. It is time to make learning English fun again! With Vocab Tunes, children can sing, dance, and play while learning to read and comprehend over 100,000 words in 21 days. Vocab Tunes offers an iTunes app, Android app (soon), books, CDs and DVDs that can be used by parents and teachers inside and out of the classroom setting. Instead of handing students a fish, Vocab Tunes teaches students how to fish. The days of forcing children to sit at a desk for hours memorizing lists of word definitions is over. A revolution is taking place with Vocab Tunes leading the way! In spite of innovation in the technology and financial sectors, many schools continue to use outdated teaching methods that encourage the drudgery of memorization instead of deep understanding. Children must learn vocabulary words organically and use prior knowledge to apply to new and novel word situations. Knowing how to read isn’t enough when it comes time for standardized tests! By giving your child or classroom the benefit of the Vocab Tunes English reading and comprehension program, you are imparting knowledge that will benefit your child a long, long time after they have left the classroom. Vocab Tunes builds reading, vocabulary and comprehension skills by engaging students in singing, dancing and workbook activities all centered on understanding the meaning of the parts that make up words. Vocab Tunes uses a multisensory approach. Children learn faster and retain the material far longer than other methods. Below are benefits of the program, separated by learning type. 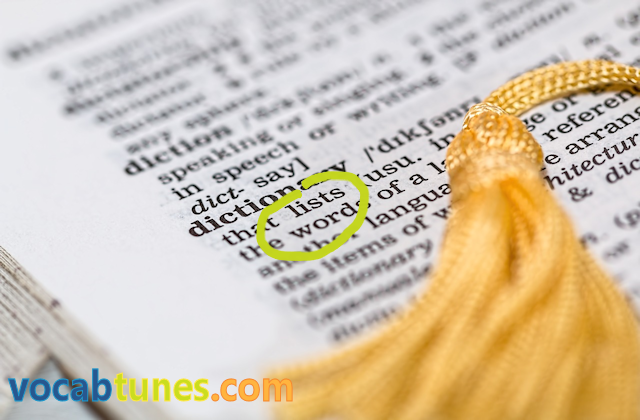 Songs for every root, prefix and suffix in our workbook and app help auditory learners. Videos accompanying each song help visual learners. Self- directed dancing, in groups or alone, help kinesthetic learners. Our workbooks break down words to their simplest form and then tie it all together by encouraging students to practice in their learning style. Studies on learning ability show that children who read well have higher self-esteem and do much better in other classes like social studies, science and technical related classes. Kids who do well in school have a much better chance at being happy and succeeding later in life. Using Vocab Tunes has made a significant positive impact on the students that we have worked with at all grade levels, K- 8. You can see how in a YouTube video of field test conducted by Heather Roberts and Cheryl King. Their students showed a 200 to 300% improvement in vocabulary acquisition. Vocab Tunes is a high energy program that combines dancing and singing to help students conceptualize the English language at a high level. Students learn kinesthetically, musically, visually and through writing. It is also a great tool for a music teacher to use for cross-curricular purposes. My students love it! The Vocab Tunes are fun catchy songs that helped our students remember the meaning of the word parts. By using the songs and other material every student at least doubled their test scores! Vocab Tunes helped our students understand the meaning of their words by knowing the meaning of the word parts. Prefix, Suffix and some roots. This is a very good program.